This is a wonderful sauce for the summer and is easy to prepare and it's perfect with rigatoni, fusilli or penne. Its simplicity is the key and works best with cherry tomatoes which are fresh from the garden or a good quality organic cherry tomato. The slow simmering is what really brings out the sweetness of the tomatoes and the onion and carrot. You want to be sure it doesn't brown. Begin by adding the butter to a large saucepan and then add the onion and garlic and gently sauté until soft. Add the grated carrot, salt, pepper and then add the cherry tomatoes. Gently cook until the entire mixture is glistening, then add the marsala and continue to cook gently until the tomatoes are bursting open. Gently crush them and allow to continue gently simmering. 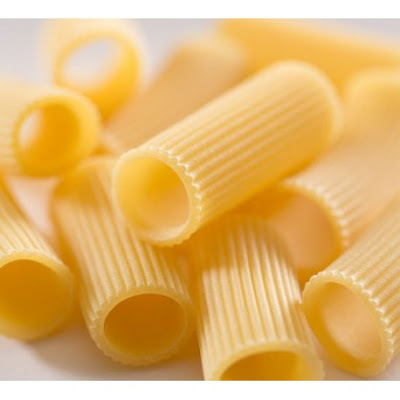 Cook the pasta until it is 2 minutes short of being al dente. before draining, scoop out 1/2 cup of the pasta water and set aside. A Pyrex measuring cup works perfectly for this. Drain the pasta and add it directly into the saucepan and toss with the sauce. Increase the heat, add the pasta water a bit at a time and continue cooking for 2 minutes. Toss with cheese and serve.